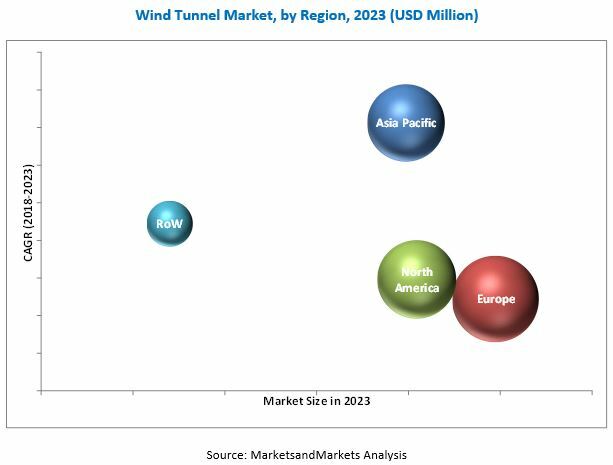 [170 Pages Report] The wind tunnel market is estimated to be USD 2.56 Billion in 2017 and is projected to reach USD 2.88 Billion by 2023, at a CAGR of 2.01% from 2018 to 2023. 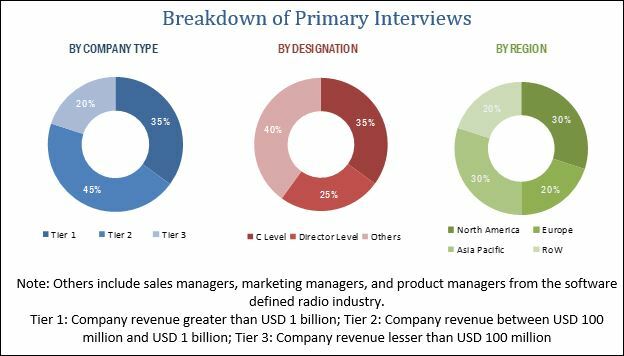 The objectives of this study are to analyze the wind tunnel market along with the statistics from 2018 to 2023, as well as to define, describe, and forecast the wind tunnel market on the basis of application, solution, alignment, airspeed and region. The year 2017 is considered to be the base year, whereas, 2018 to 2023 is considered as the forecast period for the market study. The wind tunnel ecosystem comprises testing services providers such as NASA (US), Boeing (US), Lockheed Martin (US), ETW (Europe), CSTB (France), FKFS (Germany), DNW (Netherlands), RTA (Austria), Mitsubishi Heavy Industries (Japan), Horiba (Japan), BMT (UK), FORCE Technology (Denmark), and Aerodyn (US) among others. Some major manufactures include Aerolab (US), Aiolos (Canada), Foran (Brazil), Aerodium Technologies (Latvia), and Skyventure (Canada) among others.